Beatiful and spacious home with upgrades that include high-end granite counter tops in kitchen with huge center island, tile entryway, laundry room, baths, kitchen & dining area. Double stainless sink, undercabinet kitchen lighting, upgraded H20 fixtures, & door handles. Laundry room with base & overhead cabinets, granite counter. Extended garage, custom blinds and many more upgrades. Own a Little Piece of this town's History! 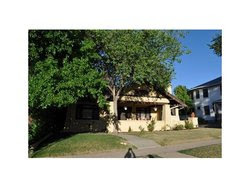 This Beautiful Historic Home needs TLC! Egyptial Revival Craftsman built around 1914, many original art decor fixtures. Wood beamed ceilings, hardwood paneling, pocket doors. Alley access. You need to see this one!!! Beautifully updated home w/great floorplan in desirable Viewpoint feels like new! 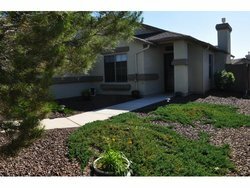 Newer features are carpet, lighting, ceiling fans, paint-inside and out-16″ tile, faucets/fixtures, stainless appliances, washer/dryer, cabinets in laundry rm, gutters, baseboard, custom blinds. 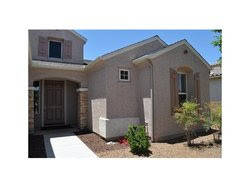 Has fireplace, security system, easy care yard on auto drip, nice back deck & covered patio. Clean, quiet neighborhood w/low HOA Dues and Low Taxes! Get it Quick! Home will be rented if not sold now. With the HomePath mortgage program, more people looking for a new home may be able to make a purchase and become home owners! Fannie Mae, a government-sponsored enterprise that helps increase the availability of homeownership to low- and moderate-income buyers, owns properties that may be designated as eligible for a HomePath mortgage. Only Fannie Mae-owned properties are eligible for this special financing! Contact me today to learn more about HomePath financing and how I can help you turn more of your homeshoppers into home owners! What's better than getting away from the hustle and bustle to a gorgeous mile-high mountain retreat? Taking advantage of cost discounts, of course! We've got several lodging packages and specials on our website, incorporating elements from golf to shopping to family fun, you'll be sure to find something to suit your tastes and pocketbook. Go there now to begin planning your next trip to Prescott! Head on over to our Flickr page to see some great photos of the World's Oldest Rodeo from years past. Click here to view the Rodeo gallery. In 1927, a family from the east ventured out on a cross-country trip. An eight-day stop in Hopi resulted in an amazing friendship between two women from very different cultures. Learn about the story, written by Carolyn O'Bagy Davis, and see the collection from 1927 at the Smoki Museum (147 N. Arizona Ave.), on loan from Wesleyan University. Through August 31. Explore nature with volunteer naturalists at the Highlands Center for Natural History (1375 S. Walker Rd.) on Wednesdays and Saturdays at 7:30 am and 9:00. Adults and children welcome. Please come prepared with water, comfortable walking shoes and layers. Free! Effective dates: June 27 & 30 and July 4 & 7. Come experience the wonderful taste of the Arizona Territory in award-winning certified organic wines at Granite Creek Vineyards (2515 N Road 1 East in Chino Valley) on June 30 from 1:00 to 5:00 pm. Enjoy live music from talented local musicians every Saturday afternoon. for purchase every weekend at Granite Creek Vineyards, no reservation needed. Visit the Granite Creek Vineyards website for more information, or call 928-636-2003. Bronzesmith Fine Art Foundry & Gallery (7331 E. 2nd St., Prescott Valley) is a full-service foundry dedicated from the creation to completion of limited edition bronze sculpture. Tour the Foundry every Thursday. Witness for yourself how an artist's sculpture comes to life in step-by-step demonstrations of bronze casting and the lost wax process. Witness the excitement of a bronze pour. Enjoy our gallery and sculpture garden. Tours are on Thursdays at 11:00 am by appointment only. Cost is $10 per person. Individuals and small groups welcome. Visit Bronzesmith's website for more information. "Rodeo Gals: When Bronc Riders Wore Lipstick"
The Phippen Museum of Western Art (4701 Hwy. 89 N.) presents this unique exhibit, bringing Cheri Raftery's extensive collection of clothing, equipment and photographs from the golden age of the cowgirl to the Phippen Museum. "Ladies of the Garden: We Will Vote"
Sharlot Hall Museum's Blue Rose Theater (415 W. Gurley St.) presents an original historical play written by Randi Wise and Jody Drake that tells the compelling stories of women honored in the Museum's Territorial Rose Garden. $14 at the door. Call 928-445-3122 for tickets and information; seating is limited. The World's Oldest Rodeo celebrates its 125th season in the same year that Arizona celebrates its 100th birthday! This year's Rodeo is therefore an official Centennial event. Since 1888, folks have come from miles around to see what the ruckus in Prescott, Arizona was all about. Every year that ruckus gets bigger, the contestants more daring and bold. When the bulls, the horses, the clowns come to town...well, let's just say you'll want to see what's kicking up all that dust. This rodeo is the world's oldest, and it's happening June 28 - July 4. For tickets, call 866-407-6336 or buy them online now. Cost: $12 to $25. You're invited to come kick up your heels to the music of the J. David Sloan Band at the Prescott Frontier Days Dance. Don't miss out on this opportunity to kick up a little dust with fellow rodeo fans, cowboys, cowgirls, and rodeo contestants! It promises to be a great time! Cost: $5. The Kiwanis Club of Prescott is proud to produce this event where the children of Prescott are the stars! A Frontier Days tradition, the Kiddie Parade is the Friday before Prescott's big Frontier Days Parade. No advance registration is necessary. No cost to participate. Awards will be given after the parade, on north steps of Courthouse Plaza. Come to the historic Courthouse Plaza for three days of fun during the 32nd Annual Rodeo Days Fine Arts & Crafts Show. Enjoy the the beautiful grass and tall shade trees of Prescott's Courthouse Plaza, while perusing approximately 150 juried arts and crafts vendors. Cost: free. Join us for this great tradition: the second-largest parade in the state (after the Fiesta Bowl). The theme for this year's parade is "Prescott: Where it All Began." Enjoy free, live entertainment every Tuesday through Friday (and some Saturdays) through September 5. During Rodeo Week, live entertainment is as follows: the Lynx Creek Cloggers on June 27, Jazz a la Mode on July 3 and Prescott Karaoke Idol on July 5. Largest fireworks show and all-day family fun in the Quad-City area! Free admission and free shuttle parking. Festivities start at noon and go until 10:30 pm. All-day carnival includes zip-lining, water slides, bungee trampoline jumping, climbing walls, carnival games, spinning gyro, electric swings, mindwinder, train, zorbing, and much more. Contests, give-a-ways, face painting, airbrush tattoos, and a free craft tent where kids can make five cool crafts from tote bags to fill with goodies, hats, sport water bottles, sunglasses and cool jewelry! All this included with the wristband price. Live entertainment with Crossfire, Road One South and more. Fireworks show at 9:00 pm. Please, no pets. Pre-sale carnival wrist bands can be purchased for $12 ($15 at the gate). Locations: City of Prescott, Grace Sparkes Activity Center, Freedom Station Prescott Valley and Fry's Markets. Purchase the pre-sale carnival wristband and you'll also receive a free mini-golf or attraction at Freedom Station, a $7 value! Free shuttle parking at Embry-Riddel on Willow Creek Rd. to Pioneer Park. We encourage people to take advantage of the Park-and-Ride free shuttle. Take Willow Creek Road to Dan Carol Rd. Park your car and take a free, two-minute shuttle over to Pioneer Park. There's room for your coolers, strollers, and shade canopies. For more information, please call 928-777-1349.
great outdoor adventure opportunities. Have a look at this video to learn more.